Want to work at a place that’s making a difference, not only in the jewelry business, but also in the community? Join Pearls International! We’re a lot more fun than those other guys, and you’ll be working for a rapidly growing company that values creativity, initiative, and innovation! What makes Pearls International different? 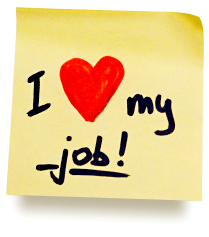 We think it’s important that everyone love their job. After all, you spend almost a third of your life at work! Pearls International makes it easy to get along with your job. We offer a work culture that truly values your unique talents and allows you to capitalize on the areas in which you feel proficient, while being groomed for bigger responsibilities. We take advantage of the latest management techniques and organizational styles and we are constantly innovating to make sure that work feels less like…well…work! With tons of options including working from home, the choice to work during non-traditional hours, and plenty of ways to put your creativity to work, Pearls International is a great place to be an employee! You know what it feels like when you actually like the people you work with? Well, we get that feeling every day. Pearls International is the best place you’ll ever work when it comes to a team-oriented, helpful environment. We’ve discovered that if your friends are all at work, you’re more likely to want to be there, too! Since its founding, Pearls International has dedicated itself to fair employment practices. We recognize the importance of hiring people with a diverse range of backgrounds and viewpoints. It is a crucial factor in supporting the most important aspect of our business: our relationship with our customers! That’s why we are motivated to develop the talents of each person and help to cultivate the ideas they bring to the table. What opportunities do you give for advancement? Pearls International is building itself from the ground up! If you can dream it up, there is probably a place here for you. We are looking for devastatingly talented individuals who will make Pearls International succeed. If you think we should hitch our wagon to your star, let us know! Pearls International has a variety of positions available. Whether you’re interested in marketing, management, jewelry-making, sales, administrative support, graphic or web design, or representing Pearls International at remote shows or Pearl Parties, there is a place for you. Just let us know where your talents lie and we’ll let you know where you might best fit in the scheme of things. We offer competitive pay rates and plenty of opportunity for growth. Currently, all other positions are FILLED, but any resumes we receive will be kept on file until the next round of hiring. You must be an American citizen or authorized to work in the U.S.
You must display a firm grasp of computer literacy and internet savviness. You must be able to communicate in writing in correctly spelled, complete sentences, and come across as reasonably intelligent! You must value creativity and originality of thought. You must be able to tolerate a variety of people from different backgrounds. Pearls International maintains a workplace free of discrimination, where employees are treated with respect and dignity regardless of their gender, color, race, ethnicity, national origin, religion, age, marital status, orientation, gender identity and expression, disability, pregnancy, covered veteran status, or political affiliation. We also comply with all applicable national and local laws of non-discrimination and equal opportunity. Note: Some positions may require additional licenses, training, or certifications. Simply submit a cover letter, resume, and three references by email to hiring@pearlsinternational.com. You can also get extra brownie points by filling out this application. 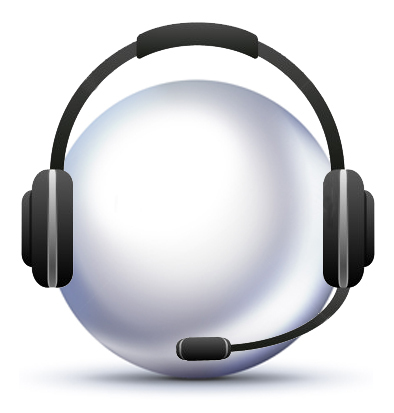 Our diligent staff will be in touch with you shortly to discuss available opportunities. We look forward to working with you! New hire? Access your new hire paperwork here!